← My Kid Blocked The Darn Facebook On Me! How to Stop Tantrums Fast..! Temper tantrums can range from the mild tantrum, where your child is stomping her feet and giving ugly looks to the more moderate forms of outbursts where she flop’s on the floor, yells or whines loudly, and perhaps sits down in protest and throws a few toys. And then there are the ballistic, severe out-of-control tantrums! Such extreme tantrums evolve for various reasons. Frequently, I see these extreme tantrums with certain strong-willed or more oppositional children. Certainly, such children are more prone to severe tantrums and outbursts. And still, there are some kids who seem to start small, and gradually (over months) grow into these more extreme tantrums. And even on occasion, other children just seem to be wired to go ballistic from early on. These various child tendencies may mean that more or less skill is required to get through this quickly. What is important to understand is that YOU DO NOT NEED TO SUFFER WITH THESE TANTRUMS. (By the way, I have your special report and and some very cool free training for you… more about that shortly) First, i want to explain something critical about these more severe tantrums. When caught in their anger, children will do anything to try and get what they want from mom and dad. This will include hitting, kicking and going after items to destroy. The extreme appearance of your son or daughter’s upset is clearly upsetting. Yet, to be helpful, it is important that you learn a strategy, and avoid making emotional or reactive decisions that may seem to help in the moment…but make things worse over the long term. One of the biggest mistakes is that we fall into the trap of ‘feeding’ into the tantrum. How? By first listening to their concerns, or by negotiating with them, or even trying to soothe them by finding out why they are so upset. Then, the concern turns to frustration or anger, and we may get firm. For some, we may start to argue or try to force them to go to their room. 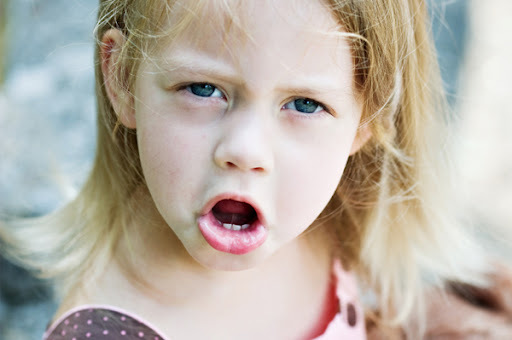 moderate, or even ballistic crazy tantrums, these outbursts can be changed…and usually quite quickly. Oh…I know what you are thinking…”NOT MY SON!” But look, I understand your skepticism. However, I have seen what happens when you get on track. Your child…yes… YOUR child can change their behavior in days…. Here’s a great example: I recently spent a few minutes on the phone with Jenny, a school teacher from California, who was working through one of my programs called The Tantrum Fixer. Her 3 1/2 year old son had just spent the last three days escalating his tantrums, until they qualified as ballistic. He had been tantruming several times a day, and she invested in the program because his tantrums were driving her nuts! She was at the end of her rope. 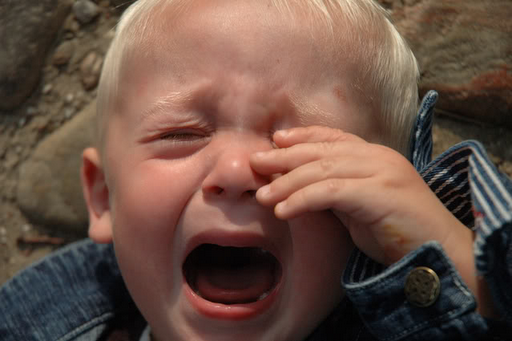 One critical component of “The Tantrum Fixer” program is a need to make certain that you do not feed into tantrums. This means not giving in to the demands of the tantrum, and not negotiating, arguing, begging, pleading, yelling, fighting, or in any way doing battle with the tantrum. More about Jenny’s story after the two lessons below. When you begin to make these adjustments, often you are met with a day or two of things appearing to get worse. WHY? Because most likely you have been feeding into the tantrum. Either with your words, your discipline efforts, your negotiation, your frustration, and even just your energy. When you stop this, usually your child doesn’t like it. The result: Many escalate their actions for a while. This is to be expected, and easily dealt with as long you understand that our first job is to NOT FEED into the tantrum. When we do…the tantrum gets stronger. The tantrum gets fed. When you stop feeding or trying to ‘fix’ the tantrum, everything begins to change. Now for many of you, with an acting out tantrum, you will need a comprehensive game plan…so you can handle the outbursts without getting hooked by the drama of it all. For Jenny, she was at the end of her rope. She began crying, and expressed the feeling of hopelessness, and despair. However, despite her frustration, I reminded her of one critical things she had forgotten…. Lesson 1: Mom and dad will no longer invest in the tantrum. Over and over again, children who tantrum learn that their parents are invested in their tantrums. In fact, it’s quite predictable that mom and dad will stop whatever they’re doing and come to give their energy and attention to the tantrum — in an effort to make it go away. Do not believe any website, any article or any advice that suggest that there is a way to talk your child through a tantrum. Yes, you can soothe the child (at times). The problem is that you will continue to spend your life doing more and more soothing and calming, and you will notice that the short term results are fantastic, but overall your child’s behavior deteriorates as they become more and more accustomed to tantruming when they don’t get what they want. Again, do not believe advice that suggest your can talk your way through a tantruming child, and end up with healthy behavior. Lesson 2: Your child will learn from the shift in Mom and Dad’s behavior. Guaranteed. When allowing your child to just have their tantrum, it appears quite horrendous. It is actually quite upsetting…and understandably so. They may be crying and screaming, jumping up and down and generally appearing quite miserable and in distress. It’s in our nature to want to fix this. Yet, this is the “Tantrum’s Way” of drawing mom and dad into it. Don’t get fooled again! The only way your child will learn to handle their emotions, is to let them handle their emotions. It seems so simple and obvious, yet it’s true. The more that we just allow the upset to move through in the moment, the more we see that we have a few days of very, very tough and even extreme tantrums. If we can remain disinterested, you will see that your toddler, or your four-year-old, or your second grader — they all learn to get through their tantrums quicker and with less drama. The timeline varies from a day or two to perhaps a week — but they all get it quickly. But most importantly, your child learns how to have a moment, and realize the uselessness of an all-out screaming fit because they don’t get what they want. They learn acceptance. They learn tolerance. They learn self-control. And everyone lives in a home that is more peaceful and calm. You see… Jenny had forgotten that her son needed an opportunity to learn…from the changes she brought into the home. I was certain that things would turn around within 48 hours, if she got back on track. And they did. She called me by the end of the week, and there had been no tantrums for several days. Given her son’s history of 3-5 tantrums a day, this was clearly a signal that things had changed.